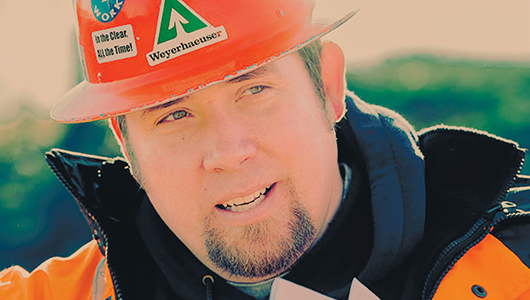 As vice president of southern timberlands for the timber, land, and forest products company, Keatley works out of Hot Springs, Arkansas, and travels from Florida to Virginia to Louisiana, and all states in between, as he oversees Weyerhaeuser’s southeastern assets in one of the world’s most abundant source of timber. Keatley’s road to the South came as a surprise for him. After graduating from Washington State University, he had worked first on a research project in the Colville National Forest, then in silviculture for Weyerhaeuser in Longview. That led to management of tree farms and people near his hometown in southwestern Washington, where his family had lived for four generations. The move in 2016 has thrown significant challenges at Keatley, both professionally and personally. 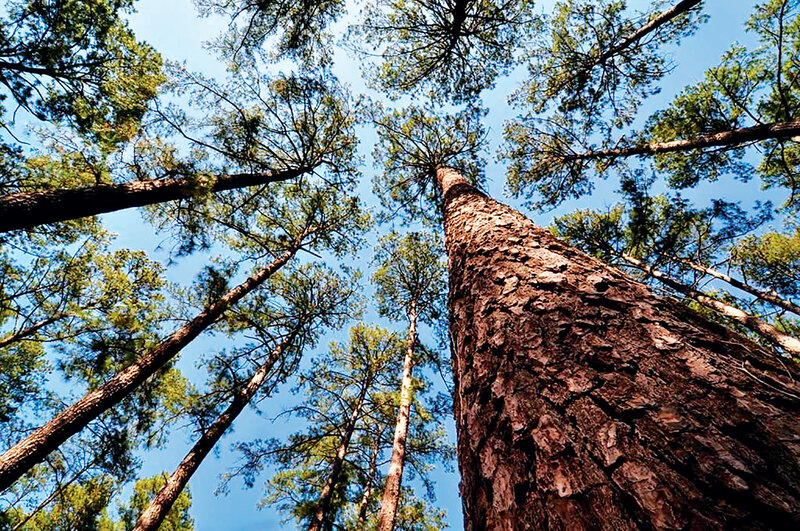 Loblolly pine and other trees also require frequent thinning and pruning. The intensive management requires good timing and crisp execution, says Keatley. The timber can get stained blue because of the humidity and the temperature, so the logs have to be processed within three weeks of harvest. “In the middle of summer, if you sever a tree from the stump, in a matter of weeks it’ll get this blue stain color to it from fungus. Nobody wants that discoloration,” he says. The hot, sticky summers aren’t the only weather obstacle for Keatley and foresters. Tornadoes, hurricanes, and thunderstorms can wreak havoc on the trees and harvest roads. Hurricane Katrina in 2005 leveled about 200,000 acres of Weyerhaeuser forests. “There was one period since I’ve been here where it rained 31 inches in 40 hours in Louisiana,” says Keatley, noting that the trees can drown without the berms to prevent water getting to them. The Southern forests are home to a lot of fauna unfamiliar to Keatley, too. Chiggers and snakes, feral pigs and gopher tortoises live among the trees. “I’m not kidding about the snakes,” says Keatley. He points out that they typically wear snake leggings to avoid the bite of venomous rattlesnakes and cottonmouth during summer. Due to a generally oversupplied market, the lumber market tends to be more dynamic there, he says. Trees grow so fast, the number of logs exceeds demand. “As long as you put the roots down and the green side up, it’s going to grow,” says Keatley. With demand steadily growing and continuing capital investments, the market’s improving. Keatley says his WSU courses in silviculture and forestry economics from professors like Keith Blatner and Roger Chapman prepared him for directing such a wide expanse of timberlands. Even the move to college helped him in the transition. Top image: Keatley on the job (featured photo from Washington State Magazine).